Discovering that sometimes you have to be a little bad to be very good, Tako the puppy makes a brave choice in this adventure tale and proves that heroes come in all shapes and sizes. When 8-year-old Ricky Lee finds a puppy on the side of the road, he takes him home and names him Tako. Ricky’s mom and dad agree to let Tako stay under one condition: he must be a good dog who always follows the rules—or it’s off to the pound he goes. 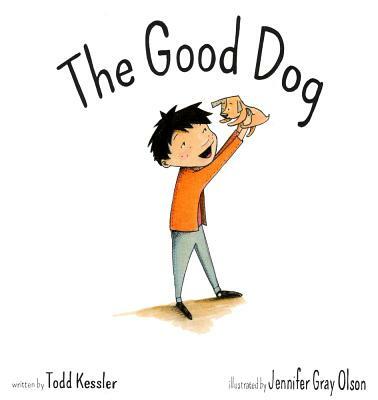 Tako wants more than anything to be a good dog and stay with Ricky, but when the Lees open Happy Family Bakery and a competing store owner sets out to sabotage the shop, Tako has to break the rules to protect Ricky and his family. Todd Kessler is the cocreator of the highly successful children’s television series Blue’s Clues. His artistic and innovative creations have garnered him the Peabody Award, seven Emmy nominations, two Television Critics Association awards, five Parent’s Choice awards, first place in the children’s division of the Toronto International Film Festival, and a New York Film Festival Cine Golden Eagle. He lives in Los Angeles. Jennifer Gray Olson is an illustrator who enjoys creating funny and offbeat characters. She is the author and illustrator of Ninja Bunny. She lives in Corona, California.